In this episode we explore the inspiring story of Thomas Porter and how he started and grew his business, Porter Barnwood. Porter Barnwood now occupies a few acres in downtown Phoenix and they have such an amazing and incredible story! Save up and be sure you have sales coming in so you can grow your business. Don’t hire in haste even if you are too busy and need the help. Do your due diligence and ask the right questions when interviewing someone. Everything that happens will come back to you, because you are the leader. So be prepared for that. Find someone you trust and respect in this industry. Disect who they are and why. Understand why they do what they do. Get a mentor and get advice. Google Calendar is awesome for keeping track of projects. Put it up on a large screen out in the shop and color code your projects. Ring Central is a handy little way to keep your business calls separate from your personal calls. Also, it makes it easy for you to record your phone calls for future reference. Also on today’s show is a Protractor Tip by Brad Leavitt from http://www.aftconstruction.com Where talks all about the importance of Engagement on Social Media. This is a show you certainly don’t want to miss! And please share about this episode on Social Media. 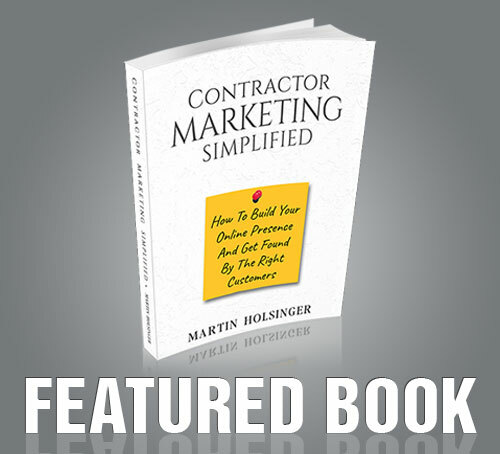 Every little bit helps spread the word so more contractors can be INSPIRED!